In large bowl, combine beans, bread crumbs, corn, onion, chiles, cumin, salt and egg; mix well. Heat oil in 12-inch nonstick skillet over medium-high heat until hot. Spoon mixture into skillet forming 4 mounds; flatten each to form 1/2-inch-thick patty. Cook 6 to 8 minutes or until thoroughly heated and lightly browned, turning once. 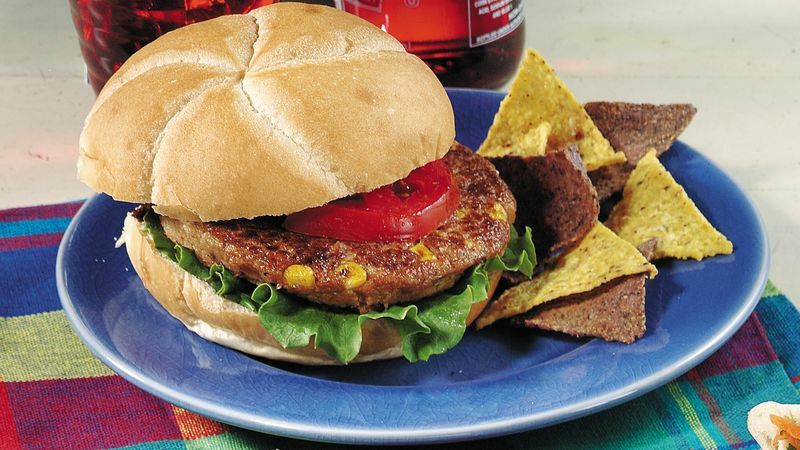 Place lettuce, cooked patties and tomato slices on bottom halves of buns. If desired, top with ketchup or mustard. Cover with top halves of buns.